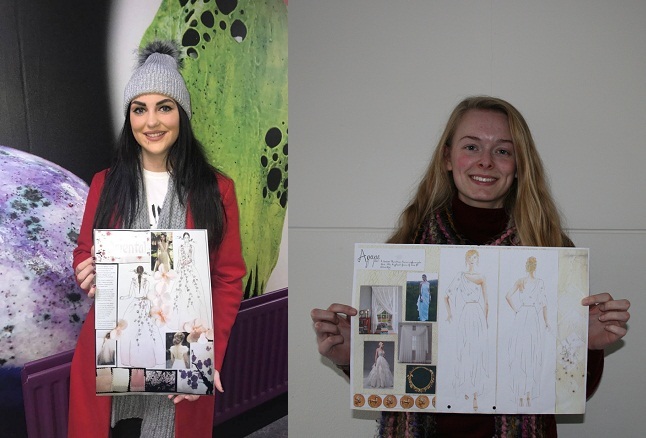 SRC Art students Cara McAleenan and Hannah Warwick have been selected among the top 5 finalists in the Young Designer of the Year 2018 competition run by Wedding Journal Ireland Magazine. The girls are both studying the BTEC Level 3 Foundation Diploma in Art and Design at SRC. Hannah is from Cookstown and is studying at Lurgan campus. 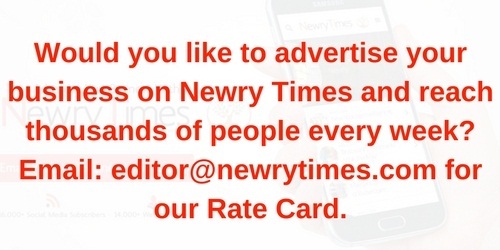 Cara is from Ballynahinch and is studying at Newry campus. Young Irish designers from all over Ireland were asked to send in a mood board outlining their designs for a wedding dress for the chance to be crowned Young Designer of the Year onstage at the Wedding Journal Show. The top 5 finalists including Cara and Hannah will now be invited to make their wedding dress which will be worn by a professional model and showcased on the runways of the Wedding Journal Shows in Belfast and Dublin in January and February 2018. A celebrity panel of fashion judges will then choose the one winning dress and its designer will be named as the Young Designer of the Year 2018.